This song was originally submitted for the score of the Disney cartoon "Cinderella," but was not used in the film. Elvis was not really a rocker at heart (though he might well have been a rocker in his soul...). His musical tastes were many and varied, but he seemed to have a predeliction for apparent opposites: Blues singers and Crooners! 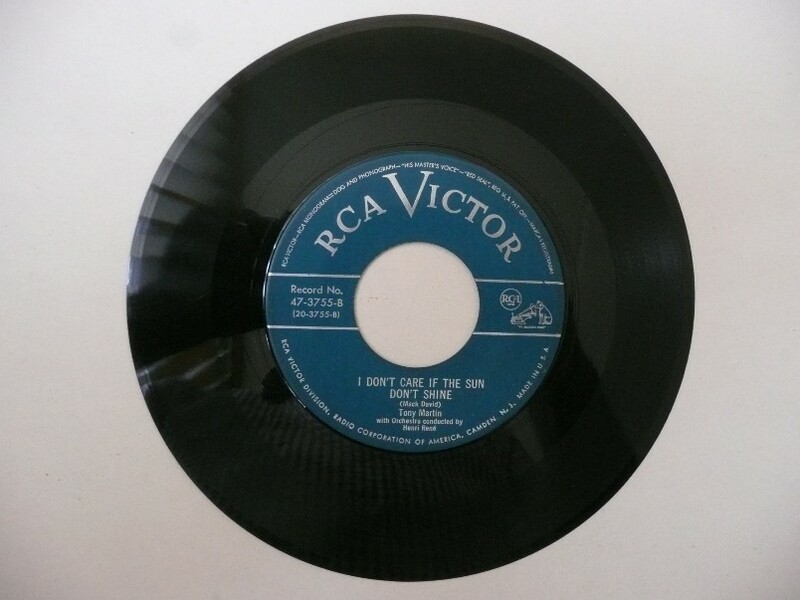 His own version of "I Don't Care..." seems to be based on that of his very favorite crooner, Dean Martin! The story goes that when Elvis decided to record it for Sun, he could not remember all of the song, so Marion Keisker, assistant to Sun producer Sam Phillips, wrote additional lyrics. The song's publisher insisted that Marion sign a disclaimer that her name would not be on the label nor would she receive royalties. Marion agreed. It was released as the B-side the "Good Rockin' Tonight" single. Most sources give either Patti Page or Dean Martin as the original recording artists for this number. However, Martin's recording was made on 28 March 1950 and Page's on 3 March 1950 (some sources give 3 February). Both of these were preceded by Tony Martin's version, made on 2 December 1949, with Henri Rene and His Orchestra, for RCA Victor. At a time like this, who keeps score? Well, I don't care if the sun don't shine. When I'm with my baby. Well, it ain't no fun with the sun around. And I'm with my baby. And we're gonna kiss some more. 'Cause at a time like this, who keeps score? When I meet my baby. I don't notice when she's around. Oh boy, what a baby.